Here are some pretty pictures that Kerry from the charter yacht PROMENADE took the other day at Salt Island in the BVIs. Come on down and let Promenade show you the sights! Scott Free, a 120-foot motoryacht with a crew of five, is offering a $10,000 discount for yacht charters in the Bahamas if booked before May 22, 2010. A couple of cool features are the player piano, underwater lights, and the fire pit! Victorian Rose is ideal for one or two couples, and small families, as they accommodate up to 4 guests in 2 cabins: full-width Master with queen berth and ensuite head and shower, and Guest Twin with separate head and shower. 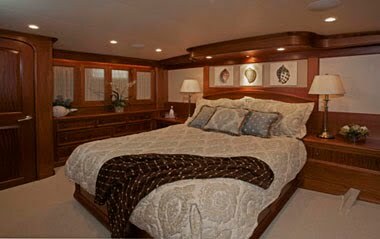 Guest accommodations are located aft and crew quarters are forward with their own head and shower. 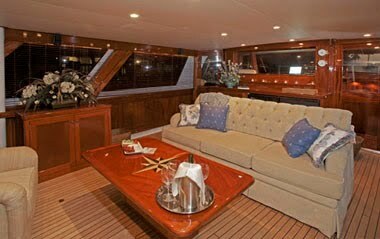 The aft deck is air conditioned and has removeable Isenglass curtains. Victorian Rose features state of the art entertainment system. Inquire now to see if your dates are still available! Motoryacht TRILOGY is a 90-foot Hargrave-designed Cheoy Lee available for charter in the Caribbean and the Bahamas this spring. Captain Ron Gonsalves is a Dive Instructor and Trilogy offers diving to certified divers. Trimaran PROMENADE Sail & Dive the BVI's and SAVE THIS SUMMER! Get the gang together and come sailing with Kerry and Bazza aboard the trimaran PROMENADE this summer... do a bit of diving & fishing, too! 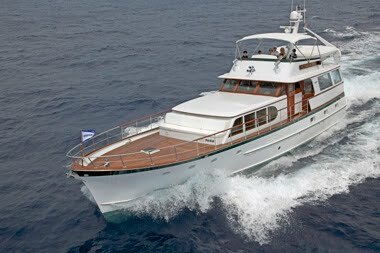 SPECIAL OFFER: From June 1st through October 30th 2010, you can charter Promenade for only $16,999/wk for a group of up to 10 people. Now that's special !!! Diving for certified divers $50/diver/dive, includes gear. 1 dive per day maximum please! Diving for "resort" divers at a cost of $85/diver/dive, includes gear. Guests "share the sail" and help in shipboard duties. This includes assisting with sailing, dishes, and general tidying. Promenade boards and returns at Harbourview Marina, East End, Tortola. Departure time is noon (don't worry, if you arrive later in the afternoon they won't leave without you! ), and the yacht returns to dock at the end of your charter around 10:00 am with guests departure by noon. CLICK HERE to view a previous post about PROMENADE. Sail the Bahamas aboard Quasart this spring and take advantage of this special offer! 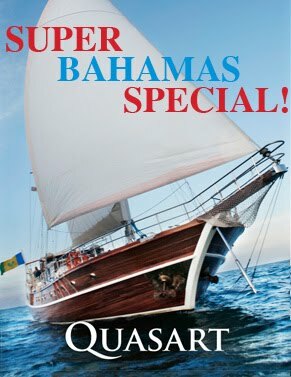 SUPER BAHAMAS SPECIAL from April through June 15, 2010!!! Quasart is an elegant 108-foot Custom built Turkish Gullet, and the only one of her kind on the Eastern Seaboard. ONE WEEK NASSAU & THE NORTHERN EXUMA CAY FOR UP TO TWELVE GUESTS! Includes your own private chef, ALL ONBOARD MEALS!!! 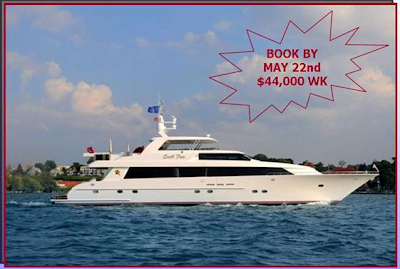 DOES NOT INCLUDE Diesel, DOCKAGE, OR CREW GRATUITY +.4% Bahamas tax. Quasart boasts eight en-suite staterooms with all the luxuries of a five star hotel. Her versatility can provide a variety of settings including the natural splendor of some of the worlds most beautiful islands and seascapes. 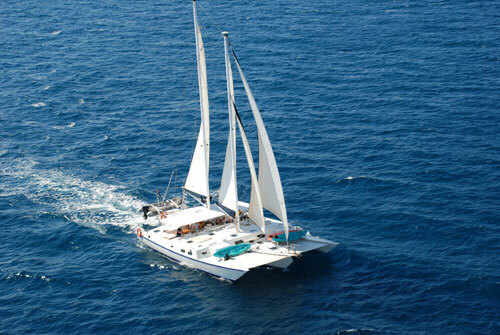 She offers the perfect charter experience and can accommodate up to twelve guests. She has two hammocks, three kayaks, swim ladders, snorkel equipment, and a 40HP tender for water sports. CLICK HERE (or scroll to next post) to view QUASART'S sample itinerary for a one-week charter for Nassau and the Northern Exuma Cays. The Exuma Cays lie in an all but unbroken chain from Beacon Cay in the North to the islands of Great and Little Exuma in the South. They form possibly the most beautiful cruising ground in the western hemisphere. Settlements are small and picturesque, the people friendly and courteous. The water is crystal clear, a vivid rainbow of blues, and beneath the surface lies a treasure trove of coral reefs and schools of fish to charm even the most seasoned snorkeler. Take a dip and unwind in the cool blue ocean, snorkel out to a nearby shallow reef, or simply walk along the powder-white beach. The Allan’s Cay grouping contains the well known Leaf Cay; one of the few remaining habitats of iguanas in the Bahamas. A dinghy ride to this unique spot is a “must do”. Standing quietly, guests will be charmed to see first one and then another iguana come forward to get a closer look. 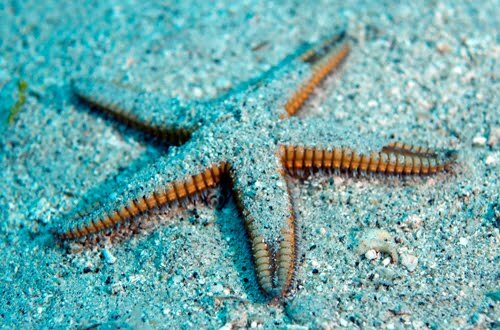 In a matter of minutes, the beach will be dotted with 20 to 30 of these odd but loveable creatures poised silently in the sand. Swim or kayak in the sheltered turquoise waters off this special island. An uninhabited cay owned by Exuma Park, has numerous soft sand beaches on both the western and eastern shores of the cay. 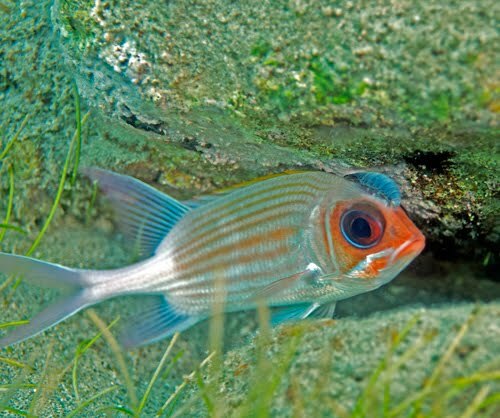 The waters along the northern shore and in the southern cove of the cay are very shallow and ideal for snorkeling. 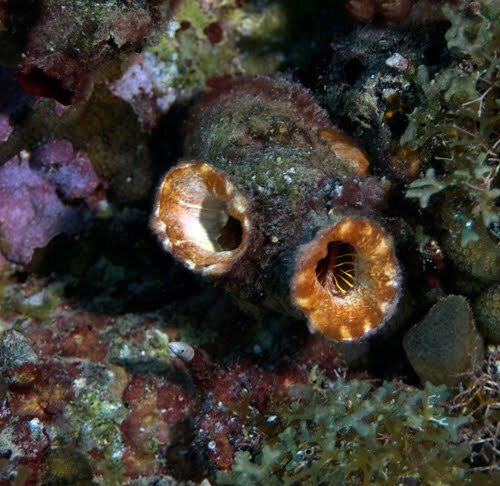 This small island is known for its hospitality and Thunderball Grotto, one of the most outstanding snorkeling attractions in all of the Bahamas. While this hollowed out rock has been the location for the James Bond movies Thunderball and Never Say Never Again and also Splash, it lures snorkelers to enjoy a natural fishbowl... swim in at slack low tide (when the current takes about an hour break from its normal fast run), and enjoy many varieties of colorful fish, corals, sponges and other sea life. Weave through the grotto’s many entrances and passageways, escape to the outside through its holes. Gaze skyward when inside the amphitheater to see light streaming through the roof where rain has eroded natural skylights. Considered to be the most popular cay in the Exuma Cays Land and Sea Park. The colors are awe inspiring and make this a lovely spot to moor while dining. 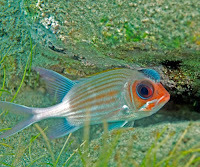 An uninhabited cay owned by Exuma Park, is an archipelago of cays and rocks surrounding a shallow tidal mangrove salina which serves as a unique nursery for conch, crawfish (lobster), sea turtles, birds and many varieties of fish. Creeks are best explored by kayak as only non-motorized vessels are permitted to enter these pristine shallow estuaries that all dead-end in the mangroves. After a relaxing breakfast, we will be under sail and heading back up to Paradise Island and Nassau Harbour. Even if you have no interest in the Atlantis Hotel, the Casino, or the beaches here, it is surreal to just observe the structure of this scale. The Aquarium, alone is worth the visit. There you’ll marvel at a walk-through tunnel surrounded by a reef, a glass-sided fish domain and the ‘Atlantis Dig,’ an archaeological fantasy world surpassed only by your imagination. Just looking at the American Airlines website for their "Fare Sales & Special Offers" as I noted that they had good deals to Europe so decided to check out flights to St Thomas, US Virgin Islands, too. Go to their "Fare Sales" page => CLICK HERE Then enter the airport you wish to fly from and put STT as your destination. Fares shown are each way, based on round-trip Economy class travel purchased on AA.com, and are in U.S. dollars. Fares shown are valid for travel Monday-Thursday; other days are subject to higher fares. Fares are subject to change without notice. International fares are subject to government approval. We are charter specialists for boats and not travel agents who book flights, but we thought that this might be of interest and also an incentive to take a spring sailing vacation.